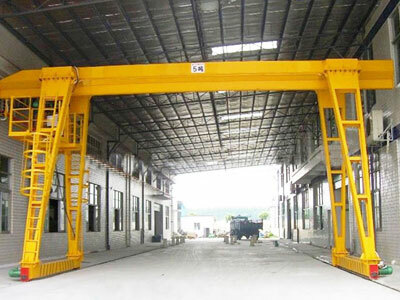 5 ton gantry crane is a kind of versatile crane that is used both indoors and outdoors. It can be constructed in many different ways to serve almost all sorts of applications. 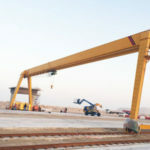 The 5t gantry crane consists of a steel frame that has single beam or double beams and supporting columns that run along rails mounted on the floor level or run on wheels. We design each gantry crane 5 ton to suit your workplace. It is a standard gantry lifting system consisting of a horizontal beam. Engineered for light duty to moderate service, the single girder crane is able to get your work done safely and efficiently. The double girder crane is ideal for frequent or heavier lifting requirements. 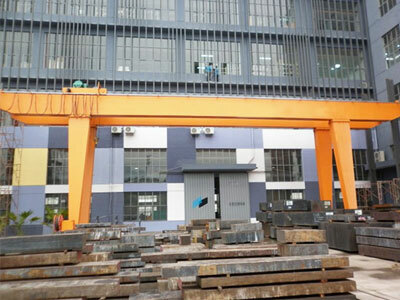 It provider greater lifting speed and higher working efficiency than the single beam gantry crane. 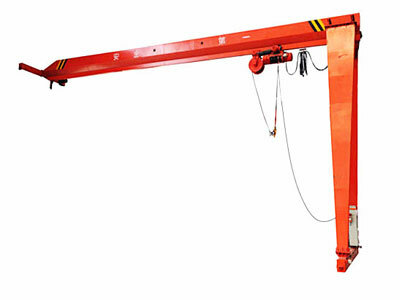 It is a combination of overhead and gantry crane which run on a floor mounted rail and an elevated rail. 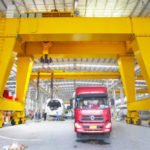 The semi gantry crane is a preferred option for workplaces with limited space. 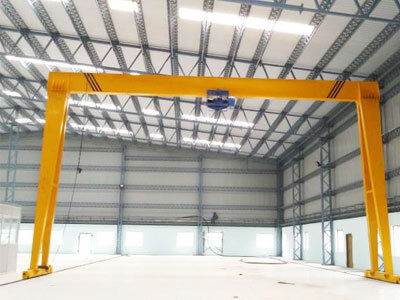 Truss gantry crane is ideal for many outdoor working environments with strong winds since the truss structure provides excellent wind resistance. The 5 ton mobile gantry crane is able to run on castor or tyred wheels, which allows you to position it anywhere you desire. The 5 ton crane can be employed in various fields and sectors to fulfill the light duty lifting requirements. It is designed for both indoor and outdoor applications, such as manufacturing plants, warehouses, freight yards, construction sites and ports. 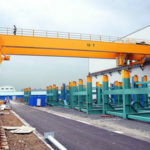 According to the type of materials to be handled, the 5t gantry crane can be fitted with several different lifting attachments, such as hook, grab bucket, electromagnetic chuck and carrier beam. 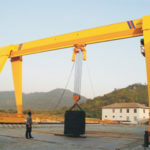 Featuring high site utilization, great adaptability and versatility, the gantry crane is increasingly popular in many industrial and non-industrial sites. 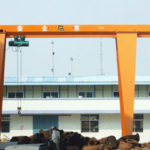 Interested in gantry crane? discuss your precise 5 ton gantry crane specifications with our experts online! With our excellent technical team, we are capable of designing both standard and customized gantry cranes to your specific requirements. Crane mounting type: rail mounted, rubber tyred, castor wheel mounted. 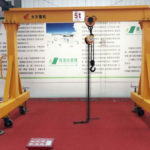 Hoisting mechanism: electric wire rope hoist and chain hoist, European standard electric hoist, etc. Safety devices: limit switches, overload limiter, anti-swaying device, anti-collision device, etc. At Dafang company, we offer a range of gantry lifting system designs that work towards your goals. Whatever your applications, we will design a perfect solution for your business. Want to get an affordable 5 ton gantry crane price? connect with Dafang group. 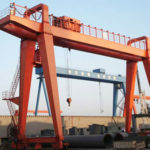 We can design every aspect of your gantry crane ranging from size, capacity to the paint color according to your requirements. 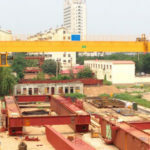 We also manage the crane delivery, installation, inspection and maintenance for clients on their requests to ensure a safe and durable lifting operations. 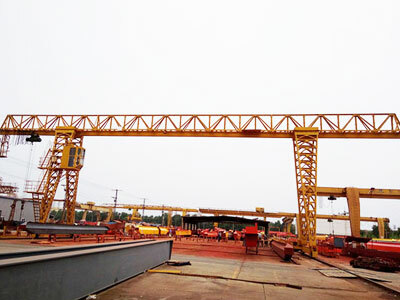 As a leading gantry crane manufacturer and supplier in China, we always provide high quality products and reliable services for our customers. To receive a free 5 ton gantry crane quotation, call us now or send an email to us.